Preparing your own income tax return can be difficult, confusing, and, if you have investments or own your own business, potentially risky. This is especially true if you earn more than $100,000 per year, or own multiple assets around New Jersey. Today's tax laws are complex and it's easy to overlook deductions and credits if you are unaware they exist. The more complex your income, the more complicated your taxes become, and the more important it is to seek out professional help. It's also not just tax professionals saying it; in one government funded study, 77% of 71 million participants claimed that they greatly benefited from professional tax preparation. Demian and Company is a professional CPA firm located in East Brunswick, NJ and we offer tax preparation for individuals as well as small businesses. We also have a reputation for providing quality service in the area, and we have a history of five-star feedback around the web to back it up. When you bring your information into our East Brunswick office, we will sit down and learn about your tax situation and check for tax credits and deductions to minimize your tax liability. We work with you to create the best tax scenario for this year and the next using deductions, withholding, and constructive receipt. We check for all potential deductions and credits to reduce your tax liability. We check to ensure that there are no errors to avoid IRS issues or fines. We finalize your taxes return so that you can remit them to the IRS. Businesses - If you own a small business, New Jersey tax law requires you to file on your personal income tax return. We can help you to organize your books, prepare a full Schedule C (Form 1040) income or loss report, and ensure that you are aware of all deductions and credits that your business qualifies for to reduce your total liability. State Tax – The State of New Jersey uses a progressive income tax module similar to the federal income tax. New Jersey also uses one of the highest taxation rates in the nation, making it crucial for you to file correctly and maximize your deductions and credits. If you want an estimate of how much you will pay before you visit your CPA, you can use this NJ income tax calculator to get a rough look at your prospective taxes. Property Tax – East Brunswick property tax is notoriously high, and you may want to review to ensure that your property value has been assessed correctly before you pay. Remote Services – If you don't have time to come into the office, we offer remote tax services for East Brunswick residents. Just email us your information to info@taxprocpa.com and we'll send your completed tax forms back to you via priority delivery. If you're ready to get started filing your taxes, visit our East Brunswick office at 65 Milltown Rd. 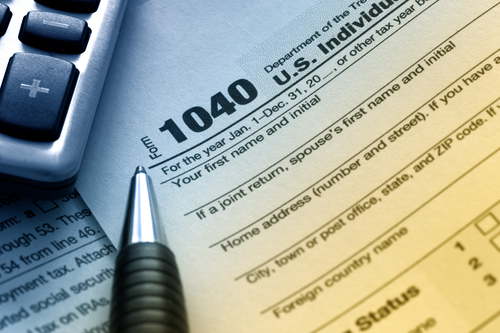 East Brunswick, NJ 08816 or give us a call at (732) 790 – 0955 to talk to our tax professionals.